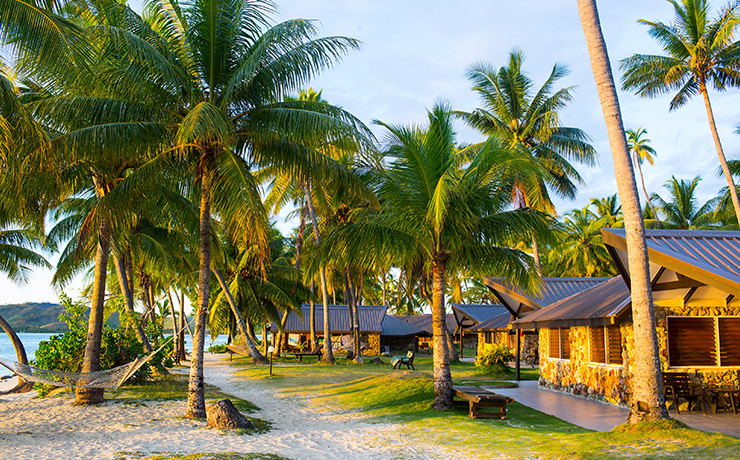 Plantation is great affordable island stay for families and groups. All rooms can fit 5 people with some categoies fitting up to 8. The island is also home to 3 resorts and large enough so that you won't feel like your trapped and there are plenty of activities on offer. There's even an inflatable waterpark on offer both an adults and kids version so no one missed out. 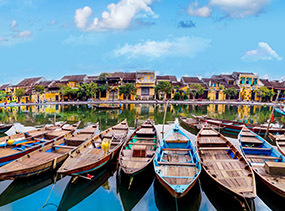 Advertised price valid for travel 01 - 06 Nov 19, 01 - 15 Feb 20, 22 Feb - 31 Mar 20, add from $150pp for 16 Aug - 15 Sep 19, subject to availability. Limited seats are available on some departure dates. 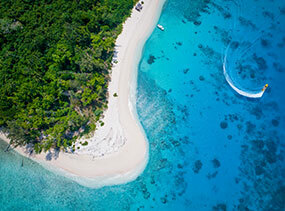 They say Fiji is for lovers, and Plantation Island Resort is testament to this. Not only is this the perfect destination for you next getaway, but it's also a welcoming place to spend your next family holiday or group get together. It's good value for money, has fantastic amenities and access to countless adventure activities, proving it really is all you can ask for. 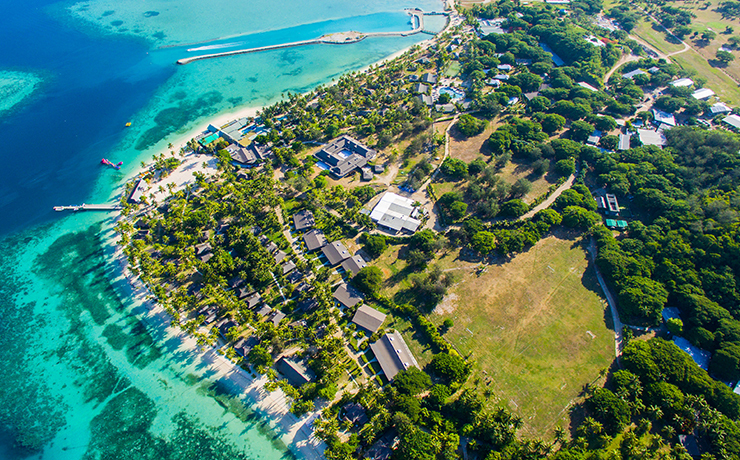 Nestled on the 553 acre island of Malolo LaiLai, the resort is close to Nadi International Airport yet feels like its own little slice of heaven. 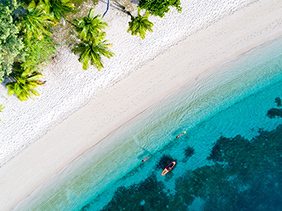 Step into the tropical paradise surrounded by a blue lagoon and you'll immediately understand why it's one of the most beautiful - and photographed - South Pacific islands. Of the island's 553 acres, the Plantation Island Resort utilises 110 of them for tropical landscaped gardens. 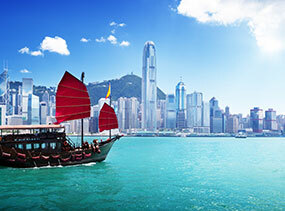 If that's not enough outdoor beauty to get your heart racing, how about the seven-kilometre strip of white sandy beaches and stunning coral reefs? There's a great range of accommodation options available at the resort, from exotic beachfront bures right through to hotel rooms. No matter which variety you choose, you'll have all the mod-cons you require, including overhead fans and your very own patio or balcony to watch the world pass you by. Once you've settled into your room, you'll want to check out the activities on offer at the resort. Surfing, golf, kayaking, scuba diving and sailing are all here, or you could simply sit back and be pampered with a luxurious massage. The addition of a floating inflatable waterpark means you can grab a towel and catch some rays while the kids have some fun. You may even find yourself sliding down with them. The area is perfect to engage in a few casual sports with fellow holiday makers and locals, and the crystal clear water will never look more inviting than it does after a game of beach volleyball in the hot sun. Malolo LaiLai is a freehold island, and was operated as a copra plantation by the Wong Ket family until 1966 at which time it was acquired by three partners who developed it for both a tourist destination as well as for their own use. 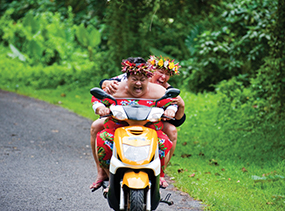 You'll find us just 10 minutes by air from Nadi International Airport. At Plantation Island resort there are so many activities available you'll be busy from dawn until dusk! Plantation Island can offer you total relaxation or a wide range of leisure activities and cultural excursions for whatever holiday experience you choose. 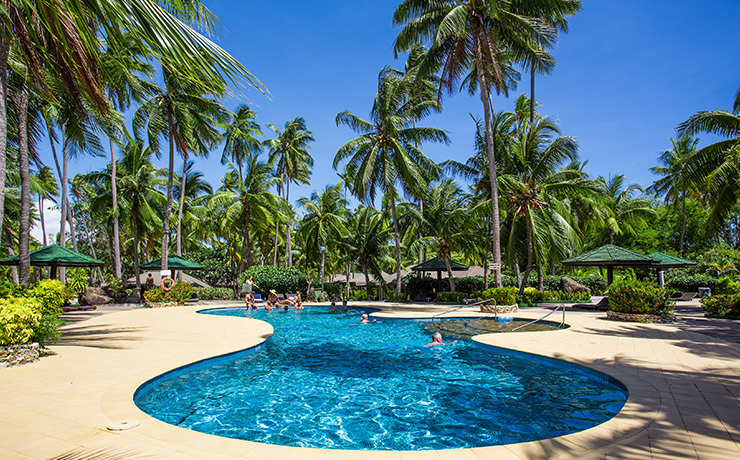 Guests enjoy the resorts 9 hole par 34 golf course, 3 swimming pools, nature walks, volley ball court, mini golf, lawn bowls green, and activities such as frog and crab racing, limbo and bingo. Water sports include fantastic snorkelling trips and PADI scuba diving, water skiing, canoeing, banana ride, sailing, fishing, windsurfing and much much more! Other popular holiday activities to enjoy at Plantation Island Resort include Surfing Safari, Dolphin Safari, as well as the Moonlight and Sunset Cruises. For a cultural experience enjoy activities and demonstrations such as wood carving, coconut tree climbing, basket/hat weaving, traditional cooking classes, native medicine lessons, or visit the handicraft centre and art gallery. 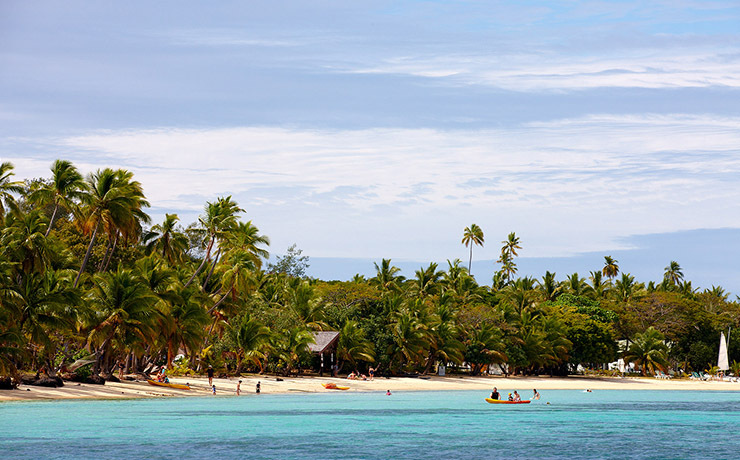 Plantation Island Resort also offers island hopping tours where you can visit the other islands in the Mamanucas, as well as Shell Village trips where you can visit the local Fiji village including their Church, school, and market to see how they live and to purchase local souvenirs. For total relaxation spoil yourself with therapeutic massages, hair braiding and the resorts beauty salon, or even escape to the far side of the island for a private picnic. 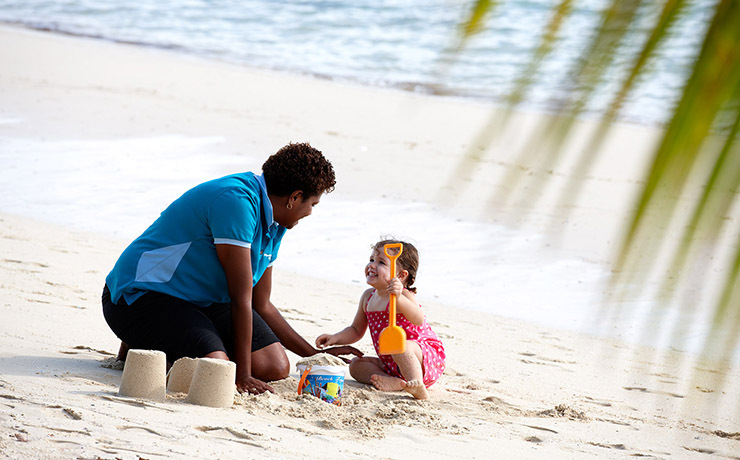 Plantation Island Resort is a haven for kids too with our free all day Coconuts Kids Club for children 4yrs and up. Your kids will be occupied from breakfast till after dark with our childrens playground and activities such as crab hunting, weaving lessons, jumping castle, treasure hunt, t shirt painting, beading, beach games, movies, concerts and more!! Additional baby sitting and child minding services are also available. At Plantation Island Resort you'll never run out of things to do! At Plantation Island Resort you'll be spoilt for choice when it comes to dining options. Sample the variety of buffet and a la carte menus at one of the resorts 3 restaurants including a unique island dining experience at our alfresco restaurant on the beach. The Old Copra Shed Restaurant features nightly themed buffets, such as Lovo (Fijian feast), and a la carte dining selection complete with live entertainment. Anandas Bar and Restaurant offers a tantalising array of curries, barbecue fare and fresh seafood with a friendly, casual atmosphere. Or if you simply want a snack opt for the convenience of the beachside minimart. The choice is yours!! If you're looking to cool your thirst look no further than the resorts Brigham Bar, Baravi Bar or Sunset Bar, which are all stocked with both imported and local spirits, wines and beers. Sip an exotic tropical cocktail as you watch the sunset and take all the time you need to discover the magic of Plantation Island Resort. Plantation Island Resort offers an array of exciting entertainment options such as traditional Kava ceremonies and nightly entertainment, in addition to the numerous facilities and activities on offer. 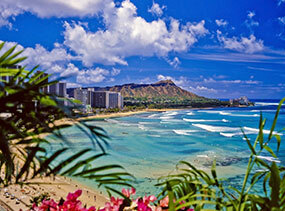 Plantation Island offers an extensive range of accommodation styles covering all price ranges. 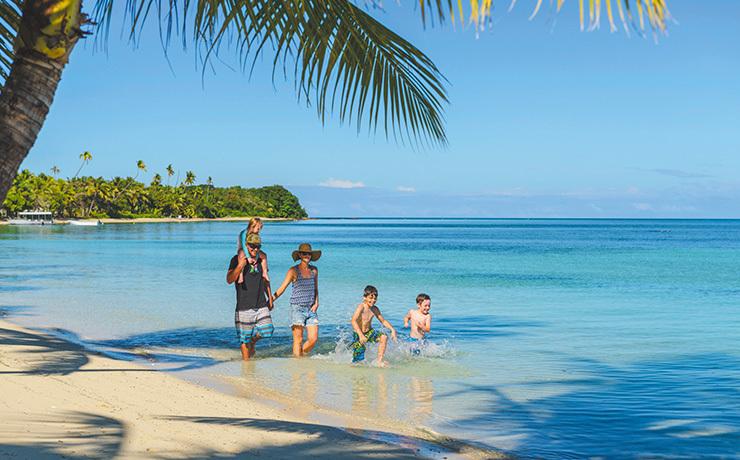 From hotel rooms to traditional Fijian huts known as bures, all accommodation is close to the beach and all the resorts facilities. There are 175 units made up of hotel rooms and bures. All rooms can sleep up to 4 adults or 2 adults / 3 children under 16 years, besides the 2 bedroom garden bure which can sleep 8. The rooms are fan cooled with many also being air conditioned and with tea/coffee facilities and fridge. 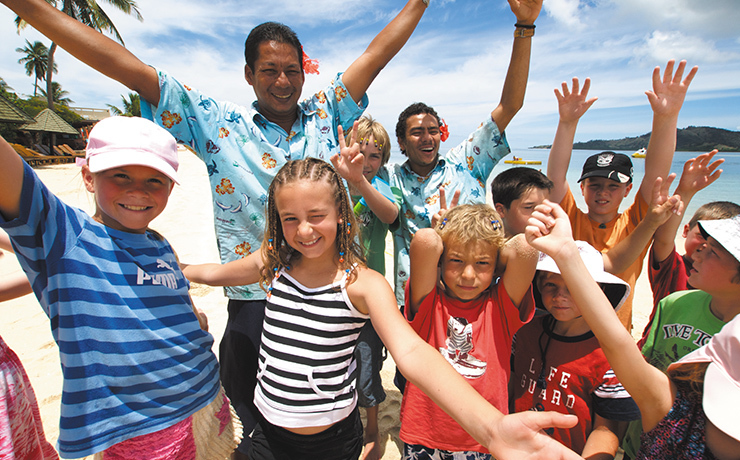 At Plantation Island Resort 2 children under 16yrs stay free when sharing with parents. Free meals for children (under 12) also exist at selected times of the year. Your wedding is a once in a lifetime occasion. 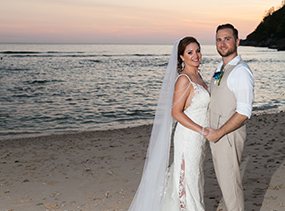 Plantation Island Resort offers beautiful island weddings in the Fijian hillside church or on the beach. 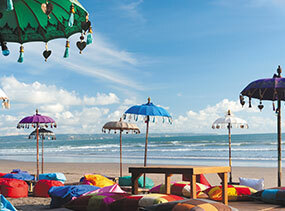 Locations and arrangements can be made to suit any budget. 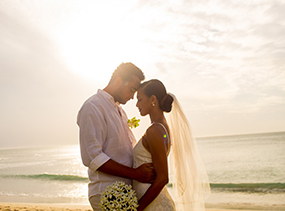 You can chose wedding packages such as the Romantic Lailai Wedding Package and the Domoni Levu Island Wedding Package which include options such as floral bouquets, wedding cake, studio photographer, choir or string band, traditional Fijian wedding dress for the bride and even Fijian Warriors to carry the bride on a traditionally decorated chair with conch blowing processional.